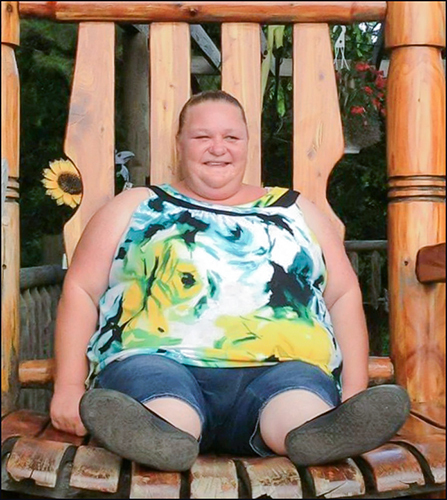 POCOLA—Funeral services for Christina Jean Pearson, 43, of Pocola are Wednesday at 2 p.m. at the Church of Christ in Summerfield with Bro. Tracy Loyd officiating. Burial will follow in the Summerfield Cemetery, under the direction of Dowden-Roberts Funeral Home of Heavener. She was born May 29, 1974 in Poteau to Chris and Jean (Box) Loyd and passed away Jan. 20, 2018 in Pocola. Christina was a Poteau High School graduate and a homemaker. She was a loving mother, sister, daughter and friend. Christina loved life to the fullest and enjoyed spending time with her family. Christina loved her family and all of her extra kids. She will be deeply missed by many. She was preceded in death by her father, Chris Loyd; stepfather, Ray Fetters; paternal grandmother, Inona Loyd; maternal grandmother, Dola Box; and her special dog, Baby Girl. Surviving family members are four sons Chris Pearson and wife Bailea of Fort Smith, Arkansas, Dale Pearson IV of Pocola, Brook Pearson and wife Tiffany of Wister, and Montana Pearson of Pocola; her mother Jean Fetters and special friend Paul Brown of Wister; three sisters Tissa Carter of Washington, Missouri, Amanda McBride and husband Jerald of Hackett, Arkansas, and Cortney Henson and husband Carlos of Wister; paternal grandparents Johnny Loyd and wife Rosie of Summerfield; maternal grandparents Earl Box and wife Judy of Summerfield; significant other, Eric Cisneros, of Pocola; numerous nieces, nephews, loved ones, friends and extended children. Pallbearers are Mark Kinman, Eric Cisneros, Jimmy Cheely, Jace Cheely, Nick Robison and Justin Childs. Honorary pallbearers are Ethan McBride, Sean McBride, Nathan Childs, Maryan Childs, Abigail Carter, Rhianna McBride, Justin Smith, Carlos Henson, Jerald McBride and Stanley Loyd. Viewing is Tuesday from noon until 8:30 p.m. and Wednesday from 8:30 a.m. to noon at the funeral home. The family will visit with friends Tuesday from 5 until 8 p.m. at the funeral home. In lieu of flowers, donations can be made at Arvest Bank in memory of Christina Pearson to the account of Billie Fetters or Courtney Henson. To sign Ms. Pearson’s online guestbook please visit www.dowdenrobertsfuneralhome.com. Copyright 2087 LeFlore County Journal. All rights reserved. This material may not be published, broadcast, rewritten or redistributed.